The standby/prime generator is a key element of an emergency/critical power solution, where power protection is required during a utility mains outage. The generator can be sized to support an entire building or part thereof depending on your requirements. The generator is not a substitute for a UPS (Uninterruptible Power Supply) as a UPS ensures a continuous and clean sinusoidal supply to the load without break during a utility mains outage and will continue to do so until the autonomy time has elapsed, which is determined by the load and battery capacity. Often there is little room for an extended battery time, this is where a generator supported UPS is an ideal situation. During the phase between the utility mains failing and the automatic start of the generator the UPS supports its critical load on battery, the generator is on line in <30secs restoring power to the UPS. This allows the battery to be sized to a minimum capacity thus giving a smaller footprint. 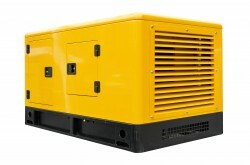 The generator can also support the mechanical loads of a building in addition to the UPS; often the UPS plus the lighting and cooling within a building are generator supported. 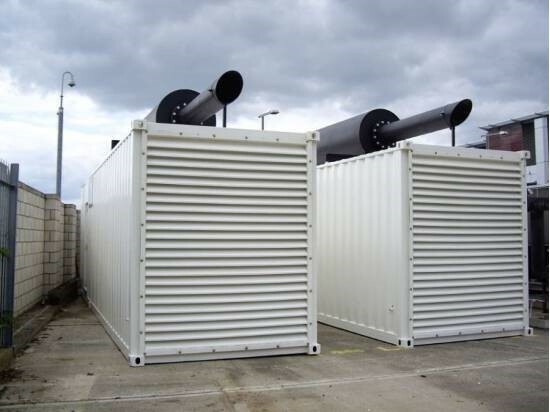 In the high power high density data rooms the environment must be maintained to avoid thermal runaway which can often be the case where IT racks continue to run on UPS power but the cooling is not maintained on generator. We know that no two customers are exactly the same: you have your own priorities, and your own, unique building set-up, so your standby generator needs to be fit for your purpose. From generator remote monitoring to fire shutdown features, you’ll get the exact generator you need.